Most people assume that owning a home business equals wealth and unlimited free time. The reality is far different. It is more like having six kids that all want attention right now. Stay-at-home moms are often enticed by the thought of having extra money or helping with the bills. These moms want to work at home, make money and spend time with the kids while taking care of the house and everything else. It does not take long to realize that there are only so many hours in a day. Good time management and organizational skills are essential to success. The kids must have a routine, all the home chores must be efficiently completed and then a specific time each day must be set aside for the business. Flexible consistency is the key to getting through each day. A home business can be chosen once the basic household routines are in place. Obviously, the mom’s skills will predominately influence the type of business. New skills can be learned but this will increase the time till profitability. The needs and abilities of the children should be considered when choosing a business. The children may be able to help sort clothes or take out seams in a sewing business. A transcription business will require a quiet place away from distractions. Traditional services like babysitting, sewing and ironing are relatively easy to offer in areas with many busy people. Word of mouth is the best way to build up clients. When somebody finds a reliable and caring sitter, they just have to tell their friends. The same applies to someone who can hem a pair of pants well. Other services may depend on training and education. An accountant or bookkeeper can set aside an area in their home to do business and see clients. A concierge or travel agent will often have on-the-job experience before moving their work home. 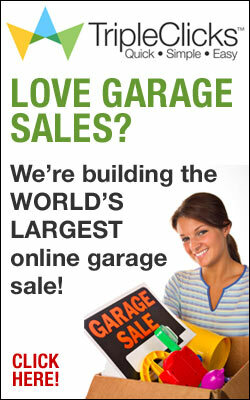 The internet is the fastest growing source of home business opportunities. Free-lance writing is a fun and flexible source of steady income. Many companies hire employees to work at home as help desk operators and telemarketers. Search job listings on well-known sites for companies with telecommuting jobs. Most people figure they’re too smart to fall for an online business scam. But if that were true, the scam artists would be out of business pretty quickly. The problem is that people, no matter what they’ve read about such scams, tend to be trusting. They simply cannot believe that someone would be so evil as to take money from someone who simply wants to earn legitimate money with an online business. First, you should understand what a “scam” is. Many people put that tag on legitimate, money-making businesses simply because they didn’t make any money—or as much as they thought they’d make. Understand that the vast majority of online businesses are completely legitimate, but the success rate with these businesses varies greatly. Not everyone who studies acting ends up like Brad Pitt, and not everyone who joins a business will get rich, either. But how can you recognize the real scams? Here are a few red flags: –They offer enormous, unbelievable amounts of cash for doing little or no work. The best online businesses are quite candid about the money you will make and never make promises of riches. Expect them to show off their success stories, and be realistic about your own chances of success. –Never wire anyone money. Look out for mystery shopper “jobs” and never respond to those e-mails claiming you’ve won a lottery you’ve inherited millions from some unknown relative. No one really needs for your help them get money that’s “locked” in an overseas bank. –Never ship anything for a third party. There’s a good chance you’ll be shipping stolen goods, and you could be criminally libel, even if you are unaware of what you are shipping. Before signing up for any home business, always look into the company and follow your gut instincts. Most people who admit to being scammed say they didn’t feel quite right about what they were doing, but did it anyway because they needed money or trusted the scam artist.